Libraries in 83 communities rely on LS&S for unique insight and expertise gained over 30+ years of library service. 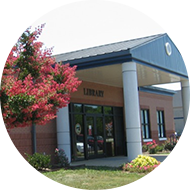 LS&S is 100% focused on library vitality. The key to operational success, LS&S is led by a team of master-degreed library professionals, who are solely focused on providing excellent library service. Leading the charge in library innovation, LS&S invests in cutting-edge approaches and analytics to better reach, engage and serve patrons. Serving communities across the nation, LS&S develops award winning programs and services that meet the needs of local communities. The public library is the heart of the community. It’s a place where the life-changing magic of reading is always available through access to books, materials and literacy education. But the modern library is much more than a place to check out books. 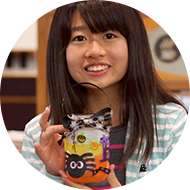 From computer access to technology training to educational programs to enrichment activities—always offered for free—the library is a key neighborhood hub. Library Systems and Services is a Social Entrepreneurship company with a goal of driving long term library vitality and growth. 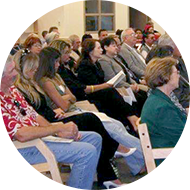 In partnership with Library Board of Trustees, Friends of the Library, Library Volunteers, Local Community Organizations and Government Leaders, LS&S operates strong libraries focused on optimizing patron service. Over time, the needs of libraries have grown along with patron expectations. As an organization this is dedicated to library success, LS&S steps up to meet this challenge every single day. LS&S channels insight and experience honed over 30+ years to help libraries become a gathering place for community connection, incubator for literacy and education and a springboard for economic and workforce development. Today, LS&S, the nation’s third largest library system, is relied upon by over 80 libraries and communities across the United States. Every day, more than 1,100 LS&S employees focus on one goal: helping libraries best serve their patrons and communities. They are forums for sharing the stories and ideas that inspire new generations to take action, create art, and effect change. There's always a way forward. When Library Board of Trustees, Friends of the Library, Library Volunteers, Community Organizations and Government Leaders partner, the opportunities to better serve patrons is endless. Being a part of your community is about more than library operations, so we work to understand the unique needs of every municipality and county we serve. Then, with the help of our friends and neighbors, we enact programs that make a difference. Literacy. Employment. Inclusion. Culture. Across dozens of LS&S libraries, we’ve partnered with motivated citizens to effect real change at a grassroots level. From safer streets and smarter kids to a stronger workforce or just plain community fun, we’re glad to do our part. 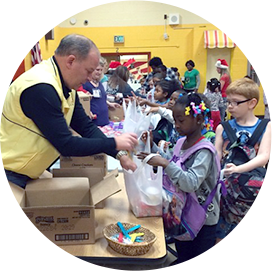 We’re also proud to partner with Blessings in a Backpack, an organization dedicated to delivering food security to disadvantaged elementary school children across America. This year, we’ve elected to sponsor 50 children with the nutrition necessary to fuel their curious young minds.